Affordable hosting for your blog / web site. Host your own customers on SSD servers. Reliable mail hosting on Premium servers. 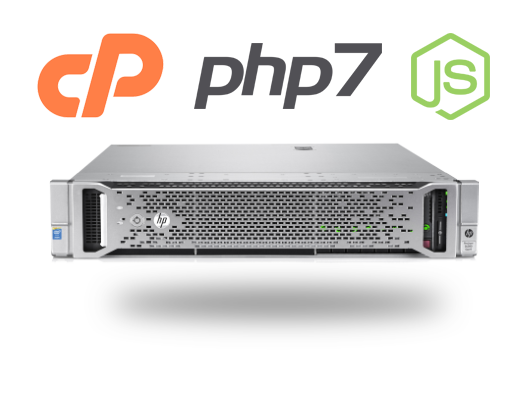 Get more performance from your own Virtual Server. Fast Solutions To Fit All Your Fast Hosting Needs! Transfer your existing domain to Hostko. We will be happy to respond as soon as possible. News and tips for our users. Powerful web hosting for your online business. cPanel, free SSL, 24/7 support. Try our SSD cPanel hosting with free SSL certificate and 24/7 friendly support. Suitable for all popular CMS like Wordpress and Joomla). *The advertised price is an example of a new order for a period of 3 years. Reliable and affordable hosting for your website. Offer your customers reliable hosting they can trust. Unleash the power of VPS hosting! You can install over 250+ apps with just a few mouse clicks and enjoy the benefits of an optimised experience. HTTP/2 ready, PHP7, Gzip compression, DDOS, SPAM and threat detection. Included in all plans - Easy-to-use cPanel control panel to manage all of your website and email needs. We guarantee 99.9% uptime on all of our Hosting plans. If you’re not 100% satisfied with Hostko's services, we’ll refund your payment. No hassle, no risk. Drag and drop type editor with all the tools to create a responsive and SEO optimized website. 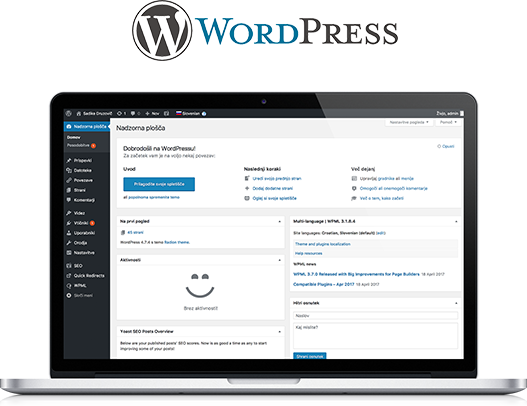 WordPress is the Web's most popular CMS, and we at Hostko know that speed and uptime are vital for all your WordPress sites. For WordPress hosting, we recommend Plan S with 10 GB of space and unlimited traffic. Get everything you need to succeed! To keep your website and apps operating at the highest level, we utilize state-of-the-art hardware, trustworthy software and embrace the latest features for advanced developers. A strategy that has helped Hostko over the last 15 years to achieve a first-rate reputation in the hosting industry. Notch up a Gear and power up your pages with extra speed offered by SSD. Up to 300% faster. It has never been easier to jazz up your online presence. We currently offer the most popular software such as PHP7, Perl, Node, cPanel and Website Builder. SSL certificate is no longer a prestige - it is a necessity! Be safe and protect your website. We provide all users with a free Let's Encrypt SSL certificate. It is easy to apply and can be installed at any time. How would you describe your experience when you last visited a site that opened slowly? Frustrating? Website speed is crucial, and it even affects your SEO and search engine ranking. Moreover, it makes for a happy customer, which will result in a better conversion rate. For this reason, you need to choose a host that drives on the fast lane - this is HOSTKO. We have over 15 years experience in giving corporate and private customers a speedy loading time on the world wide web. Our premium servers in Slovenia provide optimized hosting while using reliable and proven software. The web hosting service from Hostko is the perfect solution for personal web pages, blogs or smaller online businesses. Each package is software-optimized to give you peace of mind about page loading speed and reliability. With the ever-popular reseller hosting we have tailored a product for the Web specialists that is easy to set up and great to minimise overall costs. You will be hosting your clients on powerful and optimized servers at a fraction of the cost and still get all the benefits of an ultra-fast server. Our Optimized Web Hosting is an excellent alternative to VPS hosting, which takes away the worry about server administration. These packages are ideal for larger businesses and online stores and are designed to provide up to 20x faster than standard packages. Go Top Notch with VPS Hosting! If your web traffic is booming and your hosting packages need to be ready for high volume and if you are not shy to familiarize yourself with server administration – don’t worry, we are always here to help you – chose our VPS hosting option VPS hosting. A visually appealing website attracts more traffic - we offer all customers a WebSite Builder with which you can create your webpage in a user-friendly graphical environment without occurring additional costs. Softaculous for instance is a tool which allows you to install a web application or script with just a few clicks. Further popular applications that customers install include Joomla, WordPress, Drupal, Magento and OpenCart. These days domain searching has become a bit of a vocation for some people. Find your perfect domain on Hostko; we offer over 300 domain extensions. And so that you don’t miss to renew your domain name, Hostko will send you a reminder before the expiry date. Hostko gives me an excellent and fast European web presence, and the guys were very helpful when I got stuck. I deleted all of my emails from a vital client by accident. Thank you Hostko for recovering these critical messages. No tedious call centre agents – you speak directly with a technician. Quick response to all my questions. You're great! ©2003 - 2019 Hostko Ltd. All rights reserved. Published prices and discounts are in EUR and include VAT. * Sales prices apply for new orders and for the 1st year only.